NEWINGTON -- A nationwide movement is making its first visit to Connecticut in Newington next weekend. 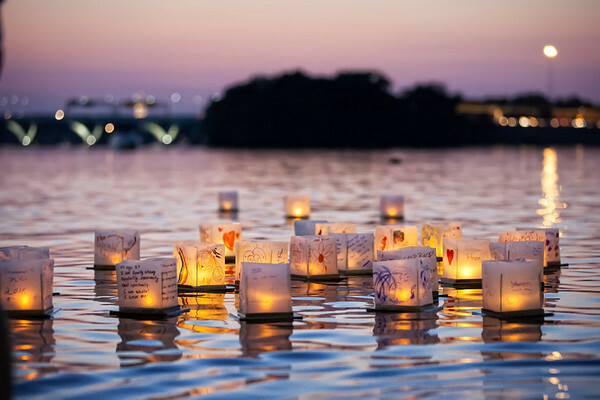 The Hartford Water Lantern Festival is set to take place in Mill Pond Park on Saturday, April 13, from 4 to 9:30 p.m. 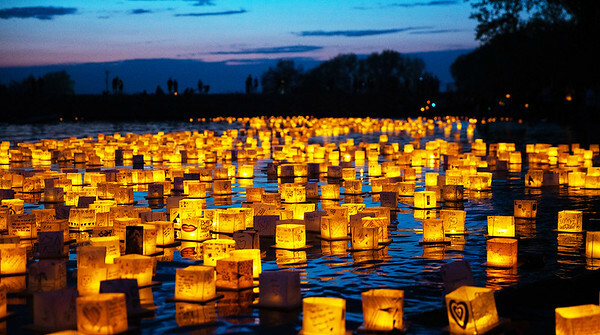 The company known as Water Lantern Festival, formerly One World LLC, has brought events to at least 40 states since its inception five years ago. Robinson made a special trip from Utah to Newington last week. He toured the site with Newington Parks and Recreation Superintendent Bill DeMaio, who had the idea to bring the floating lantern festival to Mill Pond. When he approached the town’s Parks and Recreation Commission about the event, he expected at least 200 lanterns would be sold. Nobody imagined that by April 1 that number would have reached 2,500. The lanterns are made from eco-friendly wood and rice paper and will be removed from the pond after the event. Each package comes with a commemorative drawstring bag, a wristband and a marker to decorate the lantern. People are encouraged to write messages or draw pictures on their lanterns to commemorate a family milestone, celebrate an achievement or honor a loved one who passed away. There will be at least 17 food trucks on site, selling a wide variety of cuisines. Parks and Recreation is planning a beer and wine garden and will open the snack shack for the 2019 season that evening. All concession and beverage sales will go towards this summer’s Newington Extravaganza Fireworks Show. The event begins at 4 p.m. and the lanterns will be launched into Mill Pond around 7:30. Since parking around the Garfield Street area is limited, free transportation will be provided from Newington High School, at 605 Willard Ave. People can park near the south entrance and hop on a shuttle bus to the park, at 123 Garfield St. Rides will run continuously from 4 to 9:30 p.m.
Robinson was impressed with the park during his recent visit. DeMaio is still considering what his lantern will represent. He’s also thankful that the festival has garnered so much interest from local residents and many, many others. Lanterns can be purchased at waterlanternfestival.com/Hartford.php and will be distributed at the park April 13. Posted in Newington Town Crier, Newington News on Thursday, 4 April 2019 08:23. Updated: Thursday, 4 April 2019 08:25.